Exquisitely designed bespoke wedding dresses for your special day. Martin Dobson is a wedding dress designer & maker based in London & Suffolk. Martin specialises in designing & creating one-off, custom made wedding dresses for his customers. 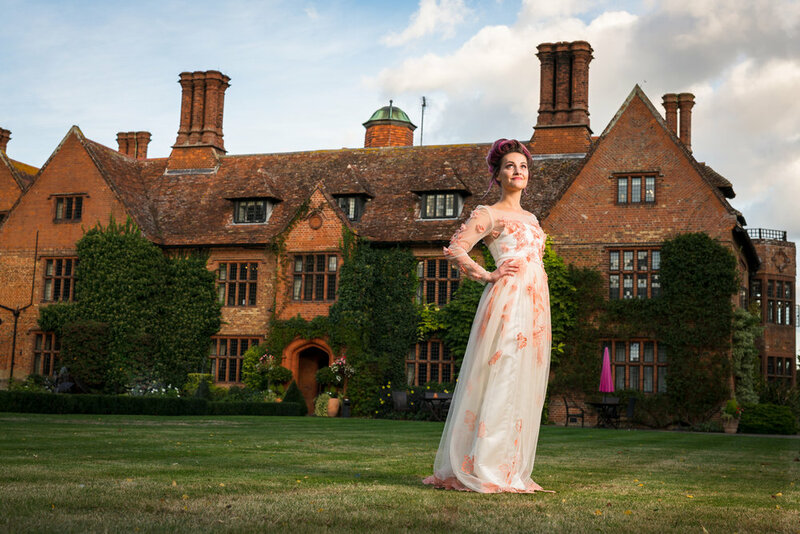 Martin Dobson is a wedding dress designer & maker based in Woodbridge, Suffolk and London. Martin specialises in designing & creating one-off, custom made wedding dresses for his customers. The whole process takes Martin from initial sketches and ideas to a beautify finished unique wedding dress explicitly tailored for you. Martin's service is a collaborative one whereby Martin is always listening and working with you to create your vision and a wedding dress that reflects your unique style and tastes. A dress just for you. Creating, crafting and making the perfect wedding dress for your special day. Meet Martin for an informal, but in-depth consultation. Look at magazines, fabric samples and enjoy a glass of something bubbly. Mood boards, fabric selections and designs. Martin works with you to bring your dream wedding dress design to life. Fitting and the process of constructing your unique and beautiful wedding dress for your special day. A peak behind the scenes of some recent photoshoots featuring some of the beautiful wedding dresses created by Martin Dobson. A video of a recent wedding dress exhibition by Martin Dobson Couture. The exhibition was held at The Crown in Woodbridge, Suffolk.